It’s being labeled as most pointless match in all football. An anti-climax like no other. However Belgium clinched the bronze medal after beating England 2-0 to finish 3rd at the World Cup. Both set of players looked desperately disappointed, with some even kidding on they still care, others failing dismally to hide their displeasure. 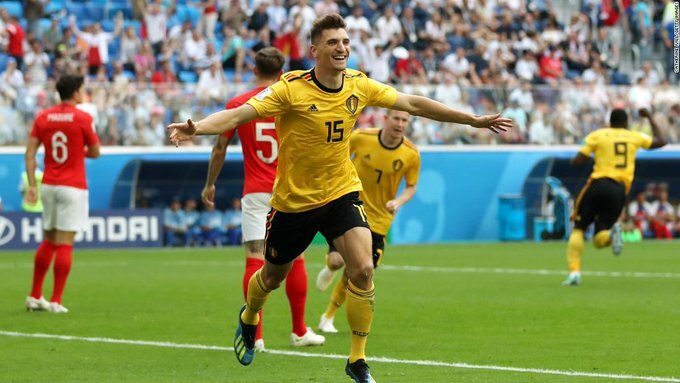 Belgium took the lead as they eased past the English defence to score their 15th goal of the season in the 22nd minute . Lukaku plays a perfectly weighted pass down the left to Chadli who crossed it with his left foot into the box and defender Munier sneaked past Stones and stabbed it past Pickford. Apart from that one well-worked goal early in the half, the football was largely insipid with England lacking ideas and having much of the ball. Belgium threatened to extend their lead from time to time with some crisp counters. Belgium did manage to score the second with 8 minutes left on the clock as Kevin De Bruyne sent a delightful pass to tournament’s top player candidate Hazard who made no mistake from close range.